This book is a practical guide to the everyday use of the revolutionary technique of non-invasive, dyeless OCT angiography imaging. Beginning with an overview of the principles and technology, and terminology, the next chapter discusses practical problems of OCT Angiography that may be encountered by clinicians. 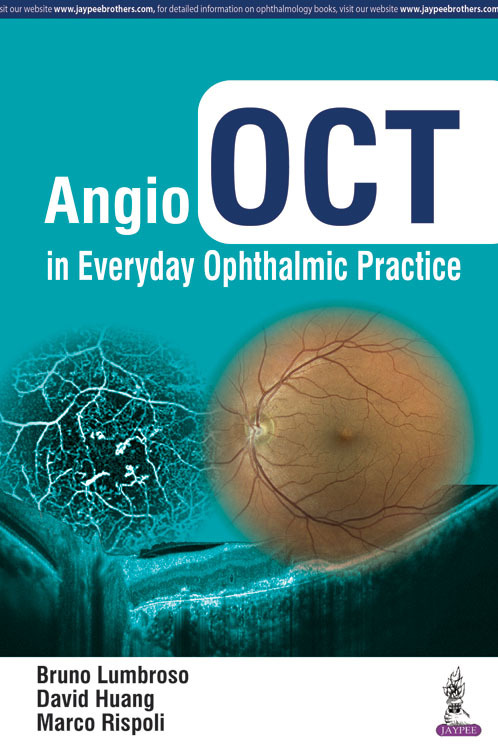 The following sections cover the use of the technique for the diagnosis and management of different ocular disorders, with a final chapter providing guidance on writing an OCT Angiography report. Presented in a step by step format, the book is highly illustrated with images obtained from Optovue’s Avanti Widefield OCT hardware platform and Angiovue OCT angiography software. The book is authored by a highly experienced, internationally recognised team of experts led by Prof Bruno Lumbroso from Centro Italiano Macula in Rome.